This complete set of seasonal material offers everything you need for an exciting Advent and Christmas program. With dramatic monologues, sermons, children's messages and worship liturgies, a Sunday school program, and a pair of Christmas Eve candlelight services, there's something for everyone, whatever your congregation's size or worship style. This complete set of seasonal material offers everything you need for an exciting Advent and Christmas program. With dramatic monologues, sermons, children's messages and worship liturgies, a Sunday school program, and a pair of Christmas Eve candlelight services, there's something for everyone, whatever your congregation's size or worship style.An Unlikely Cast (Alan E. Siewert) is a set of dramatic monologues that reveal the inner thoughts and feelings of five characters who were deeply involved in the unfolding divine drama of the nativity: Joseph, Mary, John the Baptist, the innkeeper, and a shepherd. 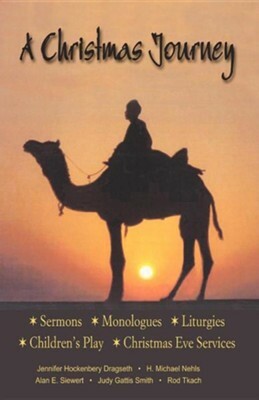 The monologues can be used in midweek Advent services, special programs, or Sunday morning worship. Staging and costuming suggestions are included, to help you bring these exciting accounts to life.The Colors Of Christmas (H. Michael Nehls) is a creative series of six sermons and children's messages in which each week features a different color. The sermons use the color idea to stress such Christian themes as royalty, sacrifice, and holiness, while the children's messages utilize the inventive device of passing out ribbon swatches of the color of the day; as the youngsters receive the various ribbons, they can collect a ribbon rainbow.Is This The Road To Bethlehem? (Judy Gattis Smith) is an Advent worship liturgy in which children are the main participants. The centerpiece is an action/sermon featuring six brief readings using illustrative wooden figures. 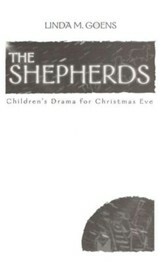 All the elements of a typical worship service are present -- but in a manner that focuses on the interests and expressions of children, allowing them to experience worship rather than just listen and watch.Producing Christmas (Jennifer Hockenberry Dragseth) is a humorous children's play which casts the Christmas story as the ultimate Hollywood blockbuster. Everyone wants to be a part of the big movie -- and they all have ideas about how to make it a hit, only to finally learn why the coming of the Christ child is truly the greatest story ever told. With participants ranging in age from junior high to preschoolers, this flexible piece is perfect for a brief Sunday school program.A Christmas Journey and Christmas Letters (Rod Tkach) are imaginative Christmas Eve services weaving together carols, prayers, scripture readings, and several brief meditations. In A Christmas Journey, the reflections guide worshipers on a journey from being home alone to the ultimate destination of the Christmas cross. Anticipation, symbolized by the lighting of the Advent candles, gives way to the joy of arrival as the service climaxes with the singing of Silent Night by candlelight. Christmas Letters celebrates the human connection of the holiday season, demonstrated by the diversity of letters and packages we send to one another. The heartwarming meditations build on a compelling theme: that the incarnation was God's Christmas letter to us -- and that as we live out our faith, we are God's Christmas letter to the world. I'm the author/artist and I want to review A Christmas Journey: Advent/Christmas Resources.